J'adore le pain - miam miam! In French, we have been doing drama to link with our Fire of London topic. Here are some recordings of our playlet - hope you enjoy it! This week our work has been based on the theme of geography and Africa. The children sent in a fantastic collection of homemade islands for the geography week island competition. We had a diverse mix of papier-mâché volcanoes; islands made from real soil; sand and foliage; drawings of treasure islands and a fact file about our own island the UK. Sam’s entry even had light-up larva at the top of his volcano. James for his island collage with a mix of 3D items and hand drawings. Faye for her 3D treasure island complete with a treasure box filled with stolen swag. Oliver for his 3D dinosaur volcano island made with real soil and sand. Year 1 was lucky enough to have our very own Oliver chosen as overall KS1 winner. We also had 2 champions for our Lingey House flag competition. In class we all took part individually in a flag naming competition where Kyrt and Oliver came neck and neck to become our joint year 1 champions. We proudly watched and supported them in the KS1 final where sadly for us Miss Mundy’s Y1/2 Champions became the KS1 winners. 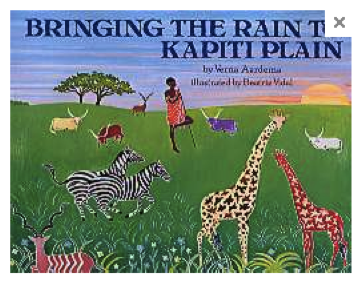 As a class we have been reading ‘Bringing the Rain to Kapiti Plain’ by Verna Aardema. This is a traditional tale from the Nandi people of Kenya where Kipat a herdsman shoots an arrow into the clouds to bring rain to end the African drought. We enjoyed discussing the storyline and worked hard to find the repeating words and phrases within the poem. As a class we compared an English rural scene to a South-African rural scene. We talked about how the different climates affected the people of each country. We decided that in summer the hot sun of the South-African plain made it hard for the crops to grow, which makes it hard to feed the people. We learned that this drought is why the rains are so important in Africa and are celebrated (whereas we seem to have a little too much!). We also learnt the Oxfam education South African Chant: Where Is the Rain? This helped us practice our musical rhythm and beat, we chanted along playing real South-African musical instruments made by the street children of Qunu. 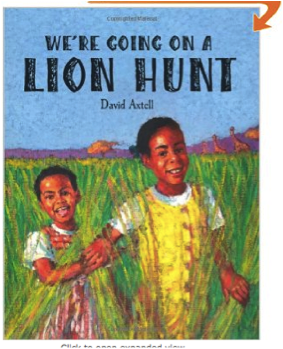 Going on a Lion Hunt -We made our own actions to the story ‘We’re going on a Lion Hunt’ by David Axtell. 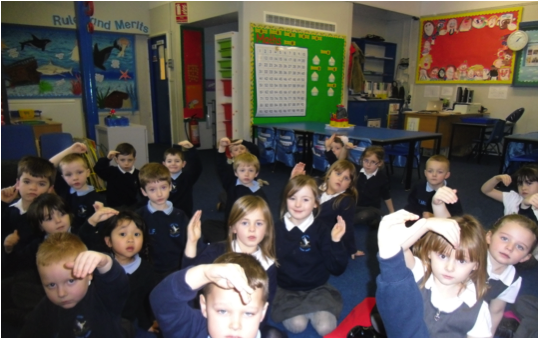 In Maths we have been learning how to describe where things are as well as half and quarter turns. In Art we made our own African tribal masks. We learned that they represent spirits. These spirits come back when the masks are worn during traditional dances. On Thursday 17th October we visited Bill Quay Community Farm to meet the animals and learn how to take care of them. The farm houses rare animals and animals that were once local to this area. We met Tamworth pigs, Bagot goats as well as the very friendly Dusty the Pony. We enjoyed learning how all the different animals need different food and shelters to survive and we even learnt that the farm uses the animal waste to grow food for them! We then went for a walk down to the river. In the afternoon, we got to meet a range of smaller wild animals that also live on the farm.